Most of us desire to have a dream home perfectly designed the way we want it to be. This is because a home becomes a home sweet home only when it is filled with peace, love and the things we love. Luckily, with the help of professional interior designers in Delhi, it’s really possible to get that dream home designed and decorated. After all, the interior designers are the experts in this field so no one can match up to their innovative and creative ideas. 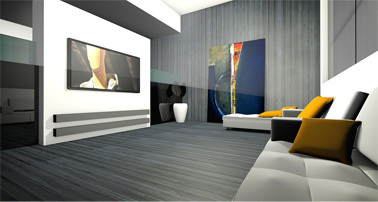 They will design your home just the way you might have visualized. But as you know, it takes lots of hard work and of course money to get the interior designing done to your satisfaction and hence it’s important to have a budget in mind while hiring interior designers. We have received so many questions about rates of interior designers in Delhi. And that’s obvious, because getting the rates and cost estimates for interior designing services helps in many ways. If you are planning to design and decorate your 2BHK/3BHK flat or home in Delhi, and you are wondering about the rates and charges of interior designers in Delhi, then here’s the post worth checking. Are you wondering about how much it would cost for 2/3 BHK interior design in Kolkata? Do you want to decorate your 2/3BHK Flat in Kolkata but unable to figure out the tentative cost of interior designing services? We receive hundreds of queries from home owners in Kolkata, and one of the primary concerns each of them have is related with interior design cost in Kolkata. Interior designing is not just about creating an accent wall and doing false ceilings; it involves so much of planning, budgeting, conceptualization and brainstorming sessions to come to the final interior design concepts. Naturally, getting some prior ideas about the overall interior design cost is important and for average home owners, it’s a matter of big concern. If you are planning for interior designing of your new flat and you are wondering about how much it would cost to design and furnish the entire 2/3 BHK flat, then here’s the post worth checking. Today I am sharing everything worth knowing about 2/3 BHK Interior design cost in Kolkata by a professional interior designer. I am also sharing insight on how interior designers can help you to save money and tips on hiring interior designers and turnkey interior contractors in Kolkata. So continue reading. Interior designing is gaining momentum with every passing day and today, most of the flat owners want to get the proper interior designing done before moving in to their flats. 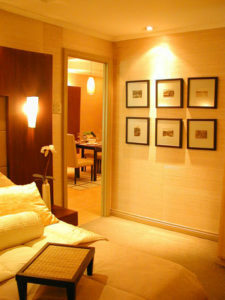 Naturally, interior designing is no more a costly affair, given the advantages and benefits it offers for the residents. But still, there are many who thinks that interior designing will be a costly affair and it’s for people with big pocket. Trust me, that is not the case today because you can easily design and decorate a 3 BHK flat with well under 6-7 lakhs. If you have purchased a new flat and you are wondering about what will be the 3 BHK interior design cost in Bangalore, then here’s the post you can’t afford to miss. Apart from giving you a ballpark idea of 3BHK interior designing cost, with good quality build and materials, I am also sharing tips on how to calculate tentative cost for interior projects, where to cut the cost and where not to compromise. So read on. How Does an Interior Designer Charge Their Clients in India? Are you planning to hire an interior designer firm and wondering about how much they would charge? Are they going to charge you a flat fee or will they charge certain percentage based on your overall interior budget? Well, we get to hear these questions very frequently and hence this post. If you have purchased a new residential or commercial property and you are planning to hire a professional interior designer then here’s the post you can’t afford to miss. For today in this post, I am going to discuss about everything worth knowing on how does an interior designer charge their clients in India. 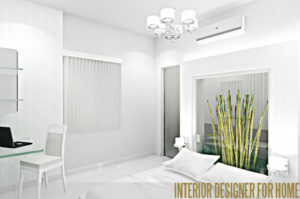 Continue reading How Does an Interior Designer Charge Their Clients in India? You can hire an interior designer to design and furnish your home in cost effective manner and without any hassle. Learn about the pros and cons of hiring interior designers. If you are in the process of constructing a house or buying a flat or an office, I am sure you have thought to hire an interior designer. There are many who are not sure if hiring interior designers is worth it. There are many who are not even sure if they need to hire an interior designer, they think, they can design the space on their own. If you have purchased a flat or planning to buy one, you may be wondering about the cost of interior designing services. How much does an interior designer charge to design and furnish a 2 or 3 BHK flat? This is probably the first generic question that you may like to ask. We often receive such question on rates and charges of interior designers and home furnishing. And that’s why this post, where I want to give you a good overview of the costs and charges of interior designers in major cities like Bangalore, Hyderabad, Mumbai, Pune, Kolkata, Chennai and Delhi NCR. Continue reading How Much Does an Interior Designer Charge in India?